Braving a burst of colour? Discover the most frequently asked questions (and everything in-between!) when it comes to getting lusciously vibrant hair! Generally, it is true that red colours fade more quickly. This is because the colour molecules in red shades are smaller than those in more natural colours, such as browns and blacks. This means that red shades fill the hair up with colour really well and give a great vibrant red finish, but it does also mean that they can washout of the hair more easily. There are a couple of reasons why your colour may seem to fade quickly. If you colour your hair a lot, but don’t follow a root regrowth method or you regularly use heated styling tools like straighteners, this can make the hair more porous. What this means is that your hair can’t hold onto colour very well and it will fade more quickly. There are a couple of easy tips to help you keep your hair in the best condition. We recommend using a deep cleansing shampoo a couple of days before you colour and use shampoos and conditioners that are designed to care for coloured hair. You should also use a deep conditioning treatment once a week, such as Color Expert Colour Sealer Conditioner and Treatment, and always use a heat protection spray such as got2b guardian angel, when styling. How do I maintain my red hair colour between a permanent applications? It’s really easy to keep your red colour looking vibrant with the LIVE Ultra Brights range. If you have red hair and it is fading, you can apply our Ultra Brights Pillar Box Red directly from the tube for a more intense colour boost. If you want a colour boost more often, you can add a pea-size amount of the Pillar Box Red Colour Cream to the in-pack conditioner or our LIVE Pastel It! and apply the mixture all over your hair in the shower (keep some spare gloves around!). These methods can be used on all types of red coloured hair if you want to keep your vibrancy topped up. The Ultra Brights range are semi-permanent colours, so you can do this as often as you need to. How can I keep other hair colours looking fresh? 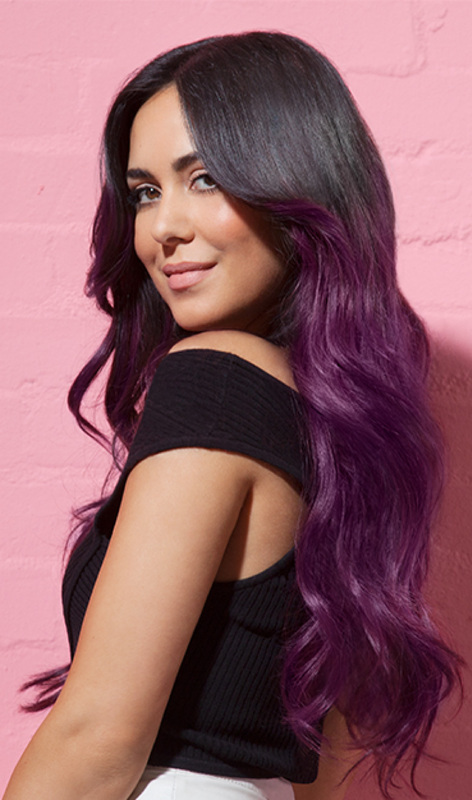 The Ultra Brights refresh method can also work on purple shades, using Purple Punk, or if you have blue black hair, you can use Electric Blue. Depending on the shade you are refreshing, this top-up method will boost the vibrancy of your shade, but will not change the lightness of your colour. Can you use Ultra Brights on dark hair?